A robot must obey the orders given to it by human beings except where such orders would conflict with the First Law. These rules form a plausible ethical system for robots, but even Asimov knew they would be insufficient. 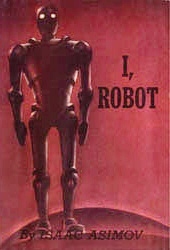 He wrote a number of stories showing how the laws could break down in his book, I, Robot. The problems with the rules are ambiguity and the possibility of internal contradictions. In the stories, poorly constructed rules for guiding behavior led to robots to commit all manner of misdeeds. This entry was posted in editorial and tagged artificial intelligence, ethics, I Robot, Isaac Asimov, Libertarianism, non-aggression principle, praxeology, robots on January 3, 2016 by rothbarddotcom. 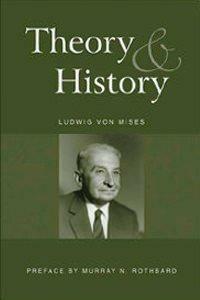 Ludwig von Mises’ last book is an examination of social sciences as they are and as they should be. Mises characteristically spends time excoriating historians who pretend to be economists. His main effort, however, is on the proper delineation between psychology, economics, thymology, and, of course, history. For those who have read Human Action, the distinction between historical science and economic science is well known. When a so-called economist models the price of onions in Venice in the 1850s, he is not furthering economic knowledge, but simply using mathematics to relate what happened in the past. 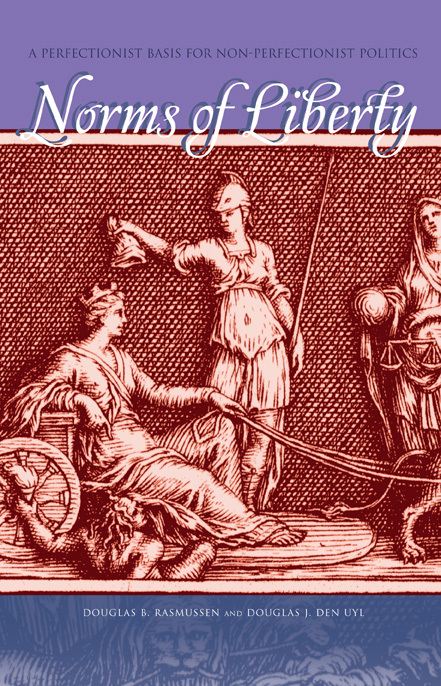 That this work provides no economic insight and has no predictive power is a central theme of Theory and History. Furthermore, Mises attacks supposed economic theories that are actually theories of history, and bad ones at that. He embarrasses Marxism for its foundational beliefs that technology determines the social state of affairs and that history is on an inevitable trend towards a final state of socialism. With his typical dry humor, Mises tears apart collectivist ideologies, though some may seem obscure to a modern reader. This entry was posted in book and tagged capitalism, economics, Five Murrays, history, Ludwig von Mises, praxeology, psychiatry, psychology, socialism, Theory and History, thymology on June 18, 2015 by rothbarddotcom. A 12 minute presentation on praxeology and ethics at the 2015 Austrian Economics Research Conference based on this paper. This entry was posted in video and tagged AERC, ethics, Libertarianism, Mises Institute, praxeology on March 26, 2015 by rothbarddotcom. Good and evil are often portrayed as opposing choices in an individual’s life, or opposing forces of history. Yet, good and evil are not opposites and this mis-characterization often leads to confused thinking on the part of philosophers, storytellers, and others. The first thing that should be noted about good and evil is that they are adjectives that apply to different things. Good and bad can describe just about anything, but evil only applies to things that people do. One might have a good apple or a bad apple, but one would never have an evil apple. On the other hand, one could say that what someone does is good, bad, evil or the opposites of those. As examples, one might say that it is good to exercise, bad to over-eat, evil to murder and not-evil to read a book. Aside from evil and not-evil, these adjectives are not mutually exclusive. So one might say that it is good, bad and not-evil to eat ice cream. Something can be good and bad in different ways, so there is nothing wrong with describing eating ice cream as both good and bad. This entry was posted in editorial and tagged bad, ethics, evil, good, human action, Ludwig von Mises, morality, not-evil, praxeology, subjective value, tu ne cede malis on November 1, 2014 by rothbarddotcom. 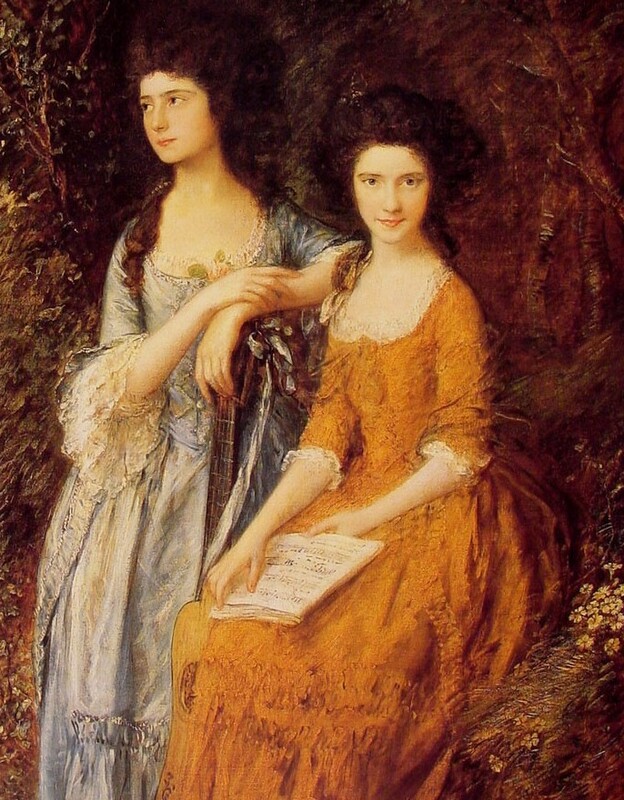 Ethics and Economics have always been the twin goddesses of the libertarian movement. Some find their way to libertarianism through Austrian Economics and others find their way to free market thinking from a conviction in personal freedom. In either case, for most of those who enjoy a libertarian state of mind, ethics and economics are always close at hand. Economics shows the power of human cooperation. Immense cities, microscopic computers, abundant food, advanced medicine and flying machines are just some of the bounty derived from applying economic principles like division of labor and catallactics. They are the result of having a free market. This entry was posted in editorial and tagged Austrian Economics, business cycle, catallactics, division of labor, economics, ethics, free market, Libertarianism, political science, praxeology, research on December 24, 2013 by rothbarddotcom. This entry was posted in book and tagged classical liberalism, David Gordon, DenUyl, ethics, Mises Review, Norms of Liberty, praxeology, Rasmussen, Three Murrays on November 2, 2013 by rothbarddotcom.